Jeantel had been on the phone with Trayvon Martin in the moments before George Zimmerman fatally shot him. The defense tried to appear as though they were going easy on her but she still seemed hostile, and why not? She was never wanted to be a star witness at the trial of the Year. Jeantel was largely derided in right wing media as lacking intellect and the undeniable fact she was not all that articulate. While some see this as undermining her credibility or the veracity of her statements I doubt the jury will view her that harshly. Rachel Jeantel is from Miami Shores/ Miami Gardens Florida. One of the most crushing ghettos i have ever walked through. I lived there for about a month in 2010 and it was an eye opening experience. There is a massive police presence by several departments, but they are only visible on the main roads and the highway. Abandoned vicious breed dogs who have lost their owners respect (and cash) by losing a dog fight wander in an antifreeze fueled daze while subjected to 100 degree heat. Probably the most stunning thing about the area is how familiar it seems. The whole thing crystallized for me when we drove past the local police departments lock up. I KNEW THIS NEIGHBORHOOD FROM WATCHING “COPS”! Department became operational (again?). The news story covering the swearing in of the Departments first officers ended with the reporter in Miami Gardens mentioning that while she was on the scene doing her story about the level of danger and need for police in that horrific town; yet another murder had taken place just blocks away from the location News Van. It would be funny were it scripted, instead its just depressing and sad. 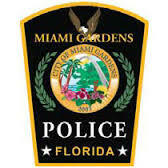 Despite the need for outreach the Miami Gardens Police Department willingly chooses an aggressive stance in it’s public relations video. Rather than a message of community service, the video showcases its diverse methods of crime control and investigation, all set to somewhat disturbing music akin to an 80’s detective drama. Rachel Jeantel has never seen professional policing in her neighborhood. She has no reason to trust the District Attorney and many reasons to loathe the Defense team. No one who has walked in her shoes would have fared much better because to me she seemed a woman stuck between a rock and a hard place. Seemingly distrustful of the Court, and justifiably so if true, Rachel Jeantel whispers between tears when not in direct conflict with a Defense team that Objected to it’s own questions and seems morose and inept to say the least. Jeantel’s early willingness to talk to the media and a lie about her age to the Police when initially questioned were the fulcrum of the Zimmerman Defense Teams attacks. They suggested by extension everything Rachel Jeantel said must also be a lie. The problem for the Zimmerman Defense Team is this; when talking strictly about her conversation with Martin as he fled Zimmerman; Jeantel was very convincing. She had no reason to lie and came off as sincere. 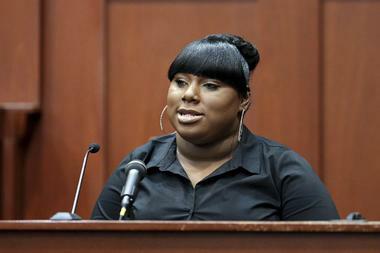 Certainly it was hard to dismiss her emotional testimony as the parents of Trayvon Martin wept in the courtroom. The veracity of Rachel Jeantel is at the heart of the defenses argument and is also central to the State’s case. She should not be written off as hostile or ignorant because her life experiences would seem to justify her attitudes. Who from such a terrible ghetto would feel differently? The rows of abandoned businesses and thriving Pawn Shops in her home town speak to the harsh, troubled world so many Floridians, both in the I-4 Corridor where Sanford is and the sun baked Hell Hole’s outside Miami, live in. A Florida juror would need to be well divorced from reality not to have a somewhat sympathetic view of Jeantel. Rachel Jeantel has lived there, immersed in an insular world where street smarts and avoiding getting too involved with the authorities are a fact of life. The frightening nature of the streets she grew up on needs to be understood. Sanford is actually a better neighborhood than Miami Gardens by a long shot. The jurors will not be blind to the kind of poverty Jeantel is surrounded by. Nearby Orlando is one of America’s most violent cities and sports a huge population of homeless, notably homeless children. In the Oliver Twist-ed world peculiar to the ghettos of Florida it’s not all that unbecoming to be semi non cooperative with the Police. Snitches get Stitches. I watched about 4 hours of her testimony and the only thing I saw was the defense attorney berating her and trying to humiliate her at every turn. I believe the only thing he did was to make the jurors feel very sympathetic toward her. He really assisted the prosecutor so I hope he gets what’s coming to him.